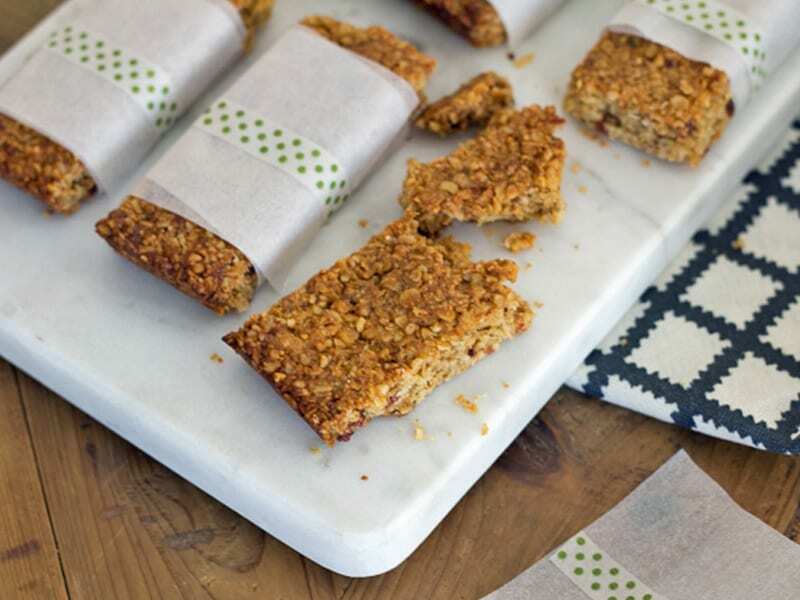 These nutritious breakfast bars are made for busy times, and these are busy times indeed. 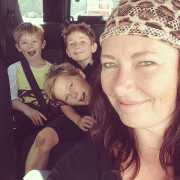 Everyone is T+E (tired and emotional – remember when that was a thing, along with D+Ms?). My kids would rather have 15 extra minutes in bed than get up and make a proper breakfast, and I’m inclined to let them. That’s when a yummy, nutritious breakfast bar comes into its own. My kids grab one of these on their way out the door. This is after we have the ‘you still need to clean your teeth even though you haven’t had breakfast yet’ talk. I’m not sure it works, either, but who doesn’t brush their teeth in the mornings? 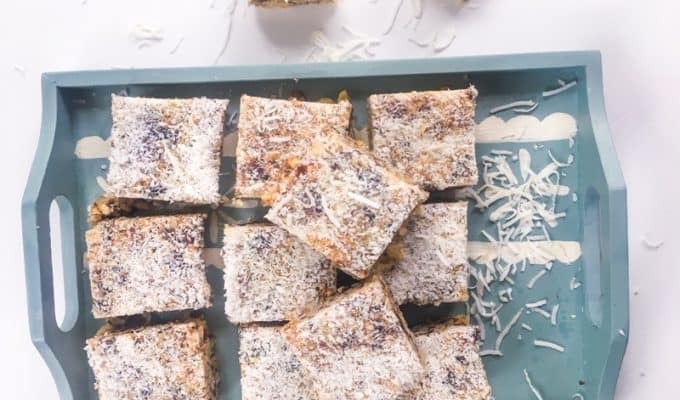 You can change up this breakfast bars recipe to suit your tastes and your pantry. I’ve offered a few suggestions below, but I say go for it. Pack the nutrition in, with plenty of protein from nuts and seeds, and it will keep everyone go, go, going all morning. Note that this one is not for those on a nut-free regime. Although, feel free to leave out all nuts and peanut butter and just throw in an extra cup of oats and some coconut oil to substitute. Line a tin with baking paper and preheat oven to 170°C. Toast the oats in a heavy-based frypan until golden, then put them into a large mixing bowl. Process the whole almonds in a food processor until finely chopped, then add to the mixing bowl, OR add your ground almonds to the mixing bowl. Combine oats and almonds then add the flaxseed, maca, pepitas, sunflower seeds, cinnamon and nutmeg. Heat the maple syrup and peanut butter in a small saucepan on medium heat until fully melted. Add the mix to the dry ingredients then put the saucepan back on the heat and immediately add the dates and pour over the boiling water. Boil the dates for a minute or two, then pour into the food processor and whizz until pureed. Add the puree to the mixing bowl and stir through. Once the mix is cool, crack in your egg and thoroughly combine all ingredients. Press the mixture into the baking tin, pressing down firmly with a large metal spoon. At this stage you can sprinkle the top with extra sunflower seeds if you like (Note: I love the extra crunch, but my kids reject the breakfast bars if I do this ). Bake for 20 minutes until golden on top. Remove from the oven and allow to cool in the pan. Cut into bars and then cool completely on a wire rack. These bars will keep for a few days in an airtight container on the kitchen bench or wrap in baking paper and freeze. Serve with a glass of milk and some cut up fruit for quick, easy mornings. 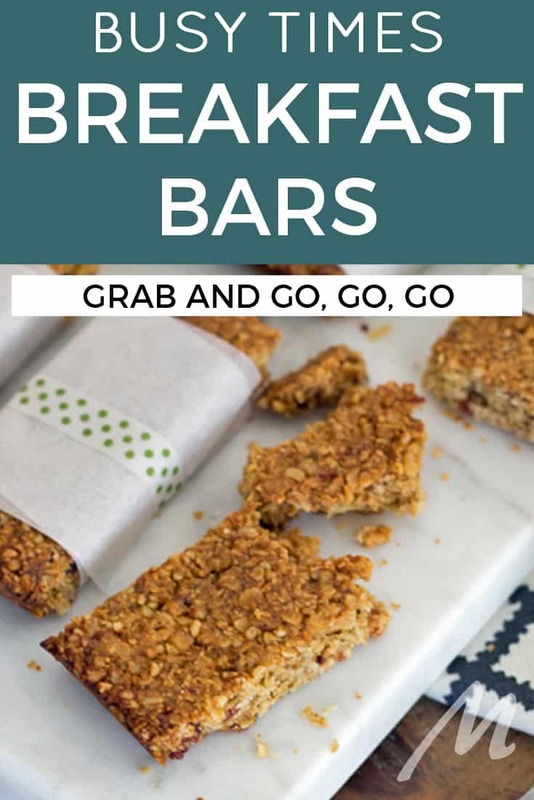 Would breakfast bars like these come in handy at your place too?